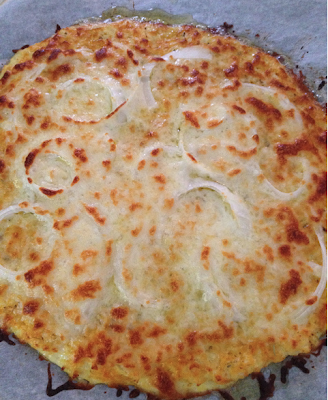 Honey & Butter: Cauliflower Pizza Crust - you'll be amazed! Cauliflower Pizza Crust - you'll be amazed! This pizza crust alternative is gluten-free and flour-free... and tasty. I love the taste of cooked cauliflower, and was surprised how crisp the crust got for this pizza. In a medium bowl, stir together 1 cup cauliflower, egg and mozzarella. Add oregano, crushed garlic and garlic salt, stir. This would be a great recipe for South Beach dieters, too - can't wait to try it! amazing recipe thanks low carb and healthy !